The Egyptian Chinese University in Cairo (ECU) started a two-day conference on Sunday to promote the traditional Chinese medicine in Egypt and integrate it into the Egyptian medical system. Dubbed "the International Conference of Traditional Chinese Medicine and Functional Medicine," the opening day of the conference was attended by representatives of the ECU, China's Shanghai Jiao Tong University and the Chinese Embassy in Egypt, as well as Egyptian and Chinese professors. 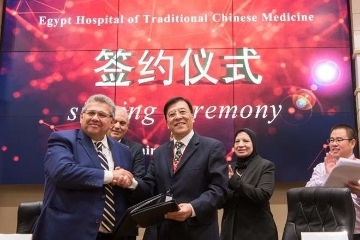 During the conference, Ashraf el-Shihy, ECU president and former higher education minister, and Bao Yong, dean of health management and service innovation center of Shanghai Jiao Tong University, signed an agreement to establish Egypt Hospital of Traditional Chinese Medicine. "The conference marks a new beginning for the continuous cooperation between the ECU, the only Chinese university in the Middle East and Africa, and Chinese scientific universities and institutions," the ECU president told Xinhua on the sidelines of the conference. "China has surely made a tremendous progress in the field of medicine and it has its unique philosophy and style in the field. 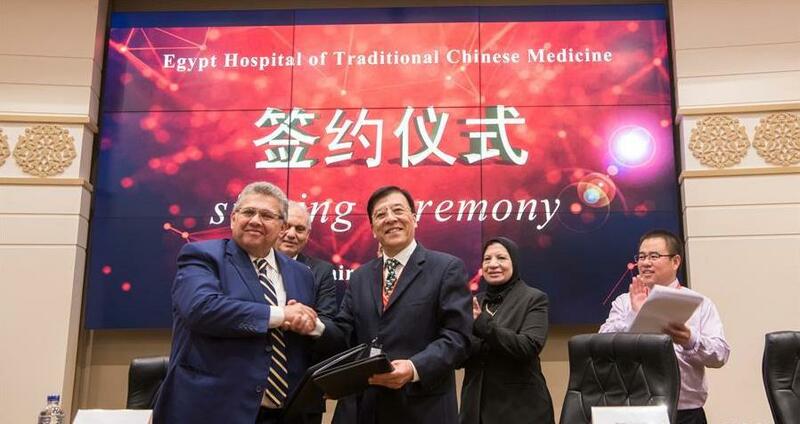 So learning from the Chinese medicine and integrate it into the Egyptian medical system is certainly a win-win situation," Shihy said. He described cooperation between Egypt and China as "unprecedented," noting that 50 ECU students are currently in a scholarship in China for field training and learning about the Chinese culture. The conference will include 25 lectures and three research papers on traditional Chinese medicine delivered by professors and experts from Shanghai Jiao Tong University, the Egyptian universities of Cairo, Ain Shams, Alexandria, Sohag and Assiut, in addition to Egypt's Military Medical Academy. For his part, Bao of Shanghai Jiao Tong University said the two sides will offer master's and doctoral programs in the traditional Chinese medicine. "The programs include sending Chinese experts to Egypt to train Egyptian professionals on traditional Chinese medicine and contribute to building a healthy community," Bao told Xinhua during the conference.